Ginjan Bros is a Title III - Regulation Crowdfunding Campaign and is actively accepting investments. The beverage market has a solid history of entrepreneurs who saw a gap in market offerings and either created a completely new category or disrupted an existing one. For instance, Nantucket Nectars, was inspired by a peach nectar that the founder, Tom First, discovered on a visit to Spain, and wasn't available in America. Another example takes us back to 1984, when Dietrich Mateschitz, an Austrian marketer, discovered a beverage in Thailand that helped him with his jet lag – we know this brand now as Red Bull; and more recently MatchaBar, which the Fortgang brothers started after discovering the drink on a trip to Japan. They launched with a single store in Williamsburg, Brooklyn before establishing their matcha beverage as the leading US brand with national retail distribution. We believe, the next big thing in beverages is African-themed drinks, with Ginjan Bros, Inc. already poised to be the category leader thanks to its rapid success in Whole Foods Markets in New York City. Ginjan Bros, Inc. (the “Company”) was founded by brothers Mohammed and Rahim Diallo, both of whom came to the United States as teenagers and, despite some very challenging obstacles, went on to gain several higher education degrees and establish successful careers in insurance and engineering, respectively. They decided to form the Company after an exhaustive search for African beverages in the United States. Their research revealed that although a few African restaurants in major cities served traditional African beverages, they were inconsistent and none had any distribution or market presence beyond the restaurants. Using their mother’s recipe, which had been passed on orally from one generation to the next over centuries in Guinea, West Africa, the brothers created the Company’s signature formulation, Ginjan. It’s a proprietary blend of ginger, pineapple, vanilla, anise and cane sugar. All of the ingredients are certified as USDA Organic and are Non-GMO Project verified. The Ginjan Bros journey started with an amazingly sweet, spicy and fragrant ginger-based beverage we grew up drinking as children in Guinea – Ginjan! Inspired by these warm memories, we found ourselves convinced that the world would find it as delicious, wholesome, and magical as we have. Beyond our desire to share this truly African flavor and our cultural heritage with the world – adding to the great American melting pot – it’s the story of the sense of hospitality behind it that truly drives us; that universally true sense of home and belonging, innate to us all, no matter our origin. We’ve been blessed with all sorts of love and support as we’ve brought Ginjan to more and more people each day – from local stores and Whole Foods Markets to online sales direct to our customers – but the next step in our relentless dream of spreading the magic of Ginjan is to establish a physical home, as rich in spirit as our flagship beverage. A home where we can invite the world to meet us and share our African heritage as we celebrate the American Dream in the capital of African-American culture: Harlem, New York. Yes, it’s a place of our own, a veritable African playground! The Ginjan Café will be a place that ignites the senses. A sweet place, greeting you with the warmth of an old friend; a spicy place, seducing you with a tune that just feels right. A wholesome place, feeding your body and mind with radically fresh and truly healthy expressions in food, drink and culture – rare and prized African-sourced coffees, fresh juices, African wine and beer, and African-inspired food; they’ll all live here. With a variety of carefully curated complementary events, the Ginjan Café will make you feel like you’ve finally found a tribe you can call your own. Come for the fare, stay for the people, return for the love. This is the place. This is the Ginjan Café. Come build with us. A convertible note is short-term debt that converts into equity. Convertible notes are structured as loans with the intention of converting to equity. The outstanding balance of the loan is automatically converted to equity at a specific milestone, often at the greater valuation of a later funding round. Why do startups raise investment capital using convertible notes? Convertible notes (or “notes”) offer a simple, cheap, and fast method for startup funding as compared to traditional priced equity rounds. It also defers the more complex discussion of startup valuation to the next round of financing. The maturity date of a note indicates the date when the note is due to be repaid to the investor along with any accrued interest, if it has not yet converted to equity. A convertible note cap sets the maximum valuation at which the investment made via the convertible note can convert into equity. Investors in the convertible note typically get converted at the lesser of the valuation of the next qualified priced round and the cap. The interest rate of a convertible note indicates how much interest accrues to the investor prior to the note’s conversion to equity or its repayment as cash when called. On the west coast in the US, we believe typical interest rates on most convertible notes are a nominal 2% (and cannot legally be lower or they might not be viewed as a convertible debt instrument). Elsewhere in the US, we believe typical interest rates on most convertible notes range from 4-8%. For example, with an interest rate of 6%, $100 invested on day 0 would convert as if $106 had been invested on day 365, if conversion happens on day 365. From an investor standpoint, the interest rate term is not as impactful to startup returns as picking the right startups to fund, and as other convertible note terms such as the conversion cap and/or discount rate. Investors use this instrument with the intention of converting to equity, as opposed to making a return on the interest. What happens to a convertible note if a company shuts down and goes out of business? As holders of a debt instrument, holders of convertible notes come ahead of holders of equity in terms of repayment of any remaining assets they may have a claim to during liquidation. In concept, the holder of a convertible note will be paid ahead of all equity holders. What happens to a convertible note if a company is acquired or merges with another company? If a company is acquired or merges before a convertible note converts, the specifics of what a noteholder receives will depend on the specifics of their convertible note terms. The most company friendly terms call for the note to be repaid with interest to the investor. Most convertible notes call for the note to be converted to common shares in the company at a pre-set price just before the acquisition/merger, often at the same price as the cap of the note. Still others call for the noteholders to be paid back their principal investment plus interest, plus a premium amount, generally 0.25-1.5x of principal. Does a convertible note holder have a choice about converting a note in an equity financing round? The terms of conversion are usually listed in the convertible note. Typically, conversion to equity is automatic at the next equity raise, but may be conditional on a round meeting certain thresholds such as a minimum round size. The number of shares you will receive in the future will be determined at the next equity round in which the Company raises at least $1,000,000 in qualified equity financing. The highest conversion price per share is set based on a $10,000,000 Valuation Cap or if less, then you will receive a 15% discount on the price the new investors are purchasing. You also receive 6% interest per year added to your investment. When the maturity date is reached, if the note has not converted then you are entitled to receive common stock equal to your investment and interest back at a price per security determined by dividing the Valuation Cap by the aggregate number of outstanding shares of the Company as of immediately prior (on a fully diluted basis), subject to the discount rate, if applicable. For details on this bonus, please see the offering summary below. 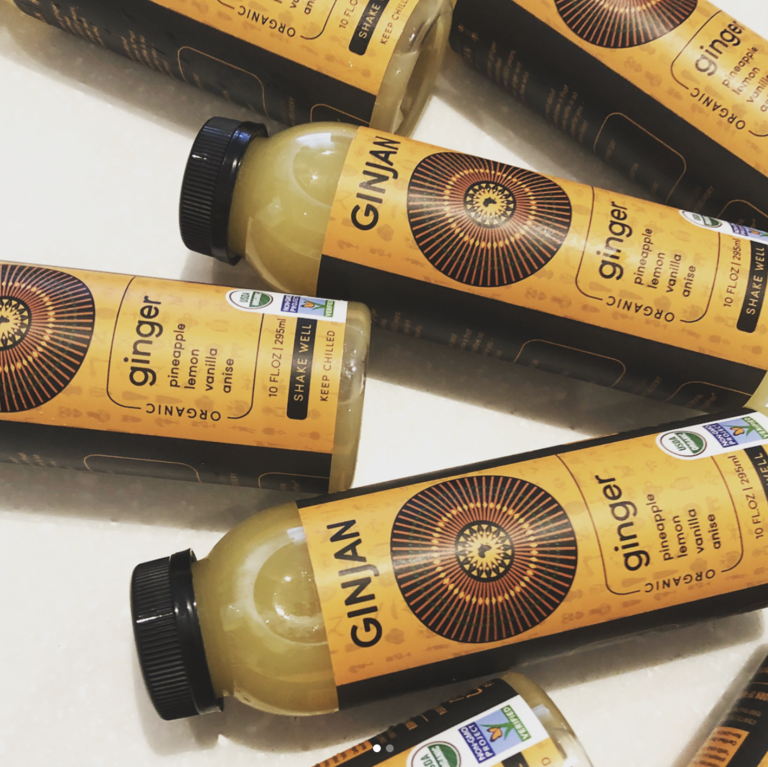 Our first offering is Ginjan, a functional organic ginger beverage made with: fresh ginger, cold-pressed pineapples, fresh squeezed lemons, vanilla, anise, and cane sugar. All of our ingredients are certified organic, free of colorants and preservatives, non-GMO, and cold-pressed. We use High Pressure Processing to extend the shelf-life and maintain freshness, without sacrificing the nutritional integrity of the ingredients. It can be consumed cold, as is, or can be steamed, as you would a latte, topped with a touch of cinnamon and/or nutmeg (it's out of this world good!). It's also a fantastic cocktail mixer. We want to make Ginjan an integral part of American food culture. Mohammed and Rahim initially went from grocery store door to door in New York City persuading owners to stock Ginjan. The Company quickly attracted interest from beverage distributors and were lucky enough to forge a distribution partnership with Rainforest Distribution , the people behind fast-growing beverage brands such as Suja, Health-Ade Kombucha and Chameleon Cold-Brew Coffee. The most-admired retailer in the natural food and beverage space is, of course, Whole Foods Markets. They noticed the local success Ginjan was enjoying in New York and offered to trial our ginger drink in a single store. It quickly sold out and it didn’t take long for WFM to invite Ginjan into all their other stores in New York City. The Company has just expanded into several Whole Foods locations outside New York City, on Long Island, and the expectation is that we’ll continue expanding into additional Mid-Atlantic, North-East and North Atlantic locations. One of the reasons for our success at WFM has been our relentless product tastings of Ginjan in stores. 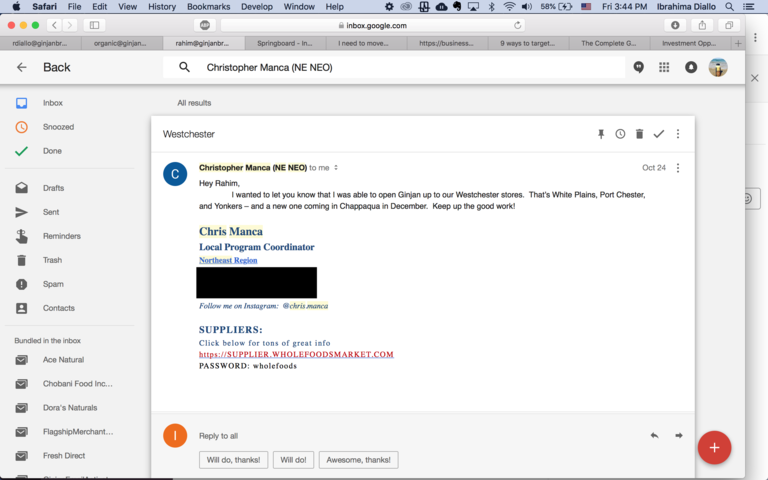 WFM shoppers have a very high conversion rate from trying to buying Ginjan, so one of the key uses of funds that we raise is to be able to continue demoing Ginjan in all the stores we expand into. Carry on doing what we’re doing! Seriously, things are going well, but in order to place Ginjan in stores beyond our current market territory we need additional working capital. Secondly, we plan to launch our first Ginjan Café, a retail location in our home base of Harlem, NY. Most of our team live and work in Harlem, or close by. We have successfully tested Ginjan in limited duration tests in neighborhood restaurants and bars and it has had a uniformly positive reception. Ginjan Café will be an intersection of African and American culture. We’ve always felt like we were part of both worlds and wanted to give people a peek into our lives. It will be a place where you can listen to music that ranges from Fela Kuti to Kendrick Lamar. A place with sounds and aromas that–until now–you could only have in a city somewhere in Africa, with an exceptional and warm vibe, music, delicious foods, beverages and cocktails. A place to introduce our current and future products. A place that allows us to give our guests the full experience we envisioned when we started this company. From the beginning, our ultimate goal has been to share everything that is great about African food and culture with the world. We started on this journey by bringing a complex and intoxicating beverage, steeped in tradition, to what is now thousands of people over the last three years. Opening what will be the first of many Ginjan Cafés is the next step in bringing the flavors, sounds, and images of Africa to the world. The Ginjan Café will be a venue with carefully selected offerings, both traditional African and global fare; painstakingly curated afro-influenced tunes (think blues, samba, jazz, bachata, Afro-house, Afrobeat, etc. ); and a tasteful decor lifted right out of the real Wakanda. We have been scouting possible retail locations for the first Ginjan Café and have identified a handful of great possibilities (we won’t list them here as they may not be available by the time our financing closes and we certainly don’t want to tip off others to these amazing spaces). We are convinced that just as MatchaBar quickly became a must-visit retail experience in hipster Williamsburg, Ginjan Café will become an equally compelling experience for anyone living in or visiting Harlem. Just as we plan to expand our retail distribution territory, so will we expand Ginjan Cafés, with equal care and attention so that our additional Cafés and retail locations are launched strategically in support of one another. The Company has been handling its own marketing, promotion and publicity with some very notable successes, but as we expand we recognize that we will require additional support from agencies specializing in food and beverage brands. We have identified the best agencies in these areas and they are ready and willing to go to work on our behalf whenever we say go! Our co-founder and COO, Rahim Diallo, has varied and deep experience working in and managing restaurants, bars and cafes. Ruen Ellis, the Company’s Branding and Marketing expert, has helped to create and launch multiple restaurants and bars, including Brooklyn’s iconic Madiba. Together they have created a unique African experience that will be the Ginjan Café. Rahim and Ruen actually road-tested the concept as a one-night only pop-up at the prestigious James Beard Awards in Chicago to great enthusiasm and acclaim. After a trial period in one, then five stores, we expanded into all of Whole Food's New York City & Long Island stores. We plan on building on this success to expand into the Northeast region, then nationally by the end of 2019. Opening our first Ginjan Café in Harlem, NY. As we explained in the Café section above, we'll strive to make the Ginjan Café the new standard for hospitality in NY. We’ll also put some resources towards expanding our distribution via catering and food service companies, as well as third party online retailers like Jet.com, Goldbelly, OurHarvest, Walmart.com, and Amazon. Our company is positioned at the intersection of two categories: Functional beverages & specialty coffee houses, two big and growing markets! The third opportunity is tied to our corporate social responsibility initiatives, which we feel as strongly about as we do the market opportunity. It is one of the main driving forces behind our brand. The US coffee house market continues to experience healthy growth with sales reaching an estimated $23.4 billion in 2017; a growth of 41 percent from 2011. Mintel forecasts coffee house sales will reach $28.7 billion by 2021. This is the financial opportunity. However, in order to capture this opportunity, we have to provide an unparalleled immersive retail experience that goes far beyond the transactional nature of buying a cup of coffee or snack. The quality and customer service requirements of the average consumer have significantly changed; we’ve become more exacting with our expectations of the foods and beverages we rely on for nourishment. Equally as important, we care more about where it comes from, and the impact it has on everyone that touches it along the supply chain. This is not only good social responsibility, but we believe it’s excellent business practice with direct positive impact on the bottom line. Our practices and approach to business reflect this change in consumer behavior, as we wholeheartedly believe in customer delight. We’ll start with one shop in Harlem, NY and grow from there. For over a decade now, big beverage brands have primarily relied on the thirst quenching properties of their products and no other functional property. Think classic carbonated sodas, which have been rapidly losing market share to the tune of a projected $35 billion by 2020, according to First Beverage Group, the premier boutique investment banking firm specializing in the beverage industry. This shift in demand is going from carbonated soft drinks to “better for you” categories like fresh juices, teas, cleaner natural energy drinks, and other beverages with health promoting ingredients, like ginger. Beyond this shift in demand in the Western world, we have an equally exciting opportunity in international markets, especially in Africa. Currently we believe there are no dominant brands that focus on traditional African beverages, despite those local drinks being consumed at a much higher rate than multinational brands on the continent. They’re currently commercialized by highly fragmented small “Mom & Pop” operations with very low production volumes. In the aggregate the non-alcoholic beverage market in Africa is worth over a conservatively estimated $54.6* billion. Not only would bringing to market beverages based on traditional African recipes fill the demand for functional products in the West, it’s also an opportunity to become the dominant beverage brand in the African market, the way the big cola companies dominate the global market today, but with healthier products. The very reason to build this business was motivated by our African roots. Today, enough food is wasted or lost in Africa every year to feed ~300 million people, according to the Food and Agriculture Organization of the UN (source: FAO, https://bit.ly/1yhlqGF). We experienced this first hand, so it is much more than a statistic to us. The interesting thing about this fact is, unlike the developed world, where most of the food is lost at the point of consumption, in Africa most of it is lost due to poor harvesting, processing, storage, and distribution technologies and know-how. Our goal, is to not only use this abundance of produce to make our products, but to transfer the necessary skills to help all those farmers more fully capture the value of their crops. We intend to do this by transferring technologies and intellectual assets to help them reduce waste and increase their yield, by teaching them how to fully participate in the global markets. Despite many African countries being large coffee producers – Arabica coffee originated in East Africa (Source: Illy Cafè S.p.A, https://bit.ly/2JZJgoS) – very little of the value is added on the continent, meaning a much smaller share of the overall pie. We see this as unjust, and as a missed opportunity. Given the lower price of labor there, and the ease of transport of coffee, doing the roasting and packaging on the continent would significantly reduce our input costs and result in a lower cost of goods. Additionally, if the roasting and packaging is done locally, it becomes much more affordable for the local market. Henry Ford famously paid his employees $5 per day, unheard at the time, so that they could also afford the cars they were making. 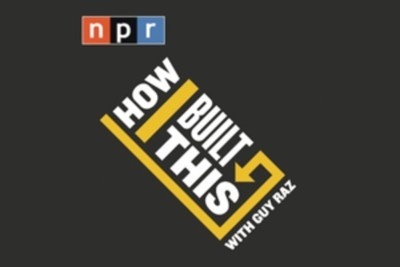 You cannot discount the humanity in that act, but the business case is even more compelling! Our goal with our social initiatives goes far beyond coffee. Based on our research, farming in Africa in general is plagued with inefficiencies and waste due to a lack of planting, harvesting, processing, and storage technologies; and the knowledge to operate them. Additionally, we believe the small, often illiterate farmers that manage to get their produce to market, cannot fully participate in international trade due a litany of regulations and complex supply chains that they’re ill-equipped to navigate. Our first goal is to set up programs that will help transfer the requisite knowledge for them to overcome these hurdles. Our second goal is to help provide seed funding for small waste management companies that are tackling the pervasive poor sanitation problems in Africa; first in our native Guinea, but over time, all over Africa. According to the WSP (a multi-donor partnership, part of the World Bank Group's Water Global Practice), poor sanitation costs African countries around 1% to 2.5% of their GDP and affects over 554 millions of people in 18 countries in Africa (Source: WSP, https://bit.ly/2NQagIQ). These companies provide sanitary waste collection and disposal solutions to areas that today only have open waste disposal sites in the middle of residential areas. We’ve already launched this initiative in one neighborhood in Conakry, Guinea. Every individual on StartEngine joined because s/he understands the value of investing in fast growing businesses and is hoping to invest in the next big thing. We have already built a solid foundation and with our amazing partners we are set to be the category leader in African-themed beverages. 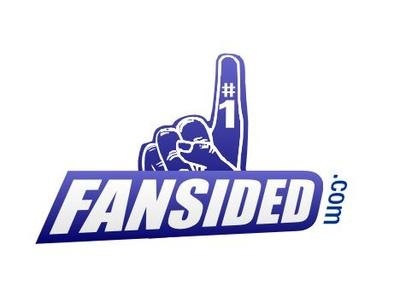 We have a proven product with a solid fan base; retail and online distribution in place; a foothold in one of the most admired grocery chains in the nation, and a well thought out product roadmap. With your support, we will have the required resources to swiftly and efficiently extend our first mover advantage in the next big thing in the burgeoning functional beverage space. Join us! "In Conakry, Guinea, when the kids had a break from classes to buy lunch from nearby street vendors, the food varied, but the drink was always the same." Once teen immigrants, sports helped GinJan Bros. founders find their place in the U.S. Chronicle of how sports helped two young immigrants (Mohammed & Rahim) find their tribe in a new country. The Company might incur Irregular Use of Proceeds that we cannot anticipate at this moment. This may include fees and expenses we incurred in marketing this equity crowdfunding, and other expenses during our day to day operations that we cannot reasonable anticipate at the moment. Hence the reason for budgeting for miscellaneous expenditures and capital reserves. Additionally, given that Ginjan Bros, Inc. will absorb and assume all the assets and liabilities of Ginjan Bros, LLC. As such, we will use some of the proceeds to service debt accrued by Ginjan Bros, LLC. Below is the list of debts currently held by Ginjan Bros, LLC that will be assumed by Ginjan Bros, Inc. Debt Issuer: American Entrepreneurship Award Relationship to Ginjan Bros: Grant maker / Creditor Debt type: Grant or interest free debt Debt maturity: 12.31.2021 Interest rate: 0% Opening balance: $25,000.00 Current balance (as of 09.06.2018): $20,000.00 Repayment schedule: $5,000.00 annually in one lump sum Debt Issuer: Kiva.org Relationship to Ginjan Bros: Creditor Debt type: Interest free debt Debt maturity: 05.26.2019 Interest rate: 0% Opening balance: $10,000.00 Current balance (as of 09.06.2018): $2,500.46 Repayment schedule: $277.77 monthly Debt Issuer: Nora Lamraidi Relationship to Ginjan Bros: Wife and Sister-in-law of Co-founders Mohammed Diallo and Ibrahima Diallo, respectively. Debt type: Interest free family debt Debt maturity: flexible Interest rate: 0% Opening balance: $50,000.00 Current balance (as of 09.06.2018): $50,000.00 Repayment schedule: N/A $74,500.46 is the total amount that will be assumed by Ginjan Bros, Inc. upon successful completion of this financing event; and the subsequent absorption of Ginjan Bros, LLC. As you might know, Ginjan Bros has exceeded its minimum funding goal. When a company reaches its minimum on StartEngine, it's about to begin withdrawing funds. If you invested in Ginjan Bros be on the lookout for an email that describes more about the disbursement process. We're inviting you to a Zoom webinar later today where you'll be able to answer questions you may have for our vision for the Ginjan brand. Feel free to share this with anyone you think might be interested. See details below. Topic: CrowdFundingEquity.net Presents - Investing with the GinJan Bros! Please click this URL to join. We are happy to announce that we'll participating in StartEngine's final Demo Day of 2018 today, Thursday, December 20th! We'd love for you to join and learn more about our project. You'll be able to ask us anything you'd like in real time. Come support us at 8:16 PST / 11:16 EST , and register here for further updates. Ginjan was awarded company of the year at the African Diaspora Awards this past weekend. We are honored and humbled to stand recognized. And grateful to all of our StartEngine backers for having put so much faith in us. Onwards! Hello to all of our new Ginjan Bros stakeholders. As you know, one of the main reasons for launching this equity crowdfunding campaign is to expand within Whole Foods Market, with the goal of going national ASAP. We were expecting to expand our current footprint of 15 stores in the New York City and Long Island areas into Westchester (for those of you not from the NY metro area, that’s the county immediately to the north of NYC) later in the year but, the good folks at WFM reached out to us, unprompted, to open up three more locations with a fourth to come in mid December. This is very exciting news, share it! While this is excellent news, it speeds up our need for increased working capital; we appreciate your investment so much and hope that with this good news you’ll encourage other investors in your universe to come on board and help make Ginjan Bros a national success story. First of all, we want to thank those of you that have already invested in our vision, from the bottom of our hearts. It's an honor to have join the Ginjan family! We were recently featured in Vice Media along some other entrepreneurs discussing what we wish we knew before starting out on this journey. It's a brief read. We'd appreciate your help in helping further broadcast the campaign. So if you 're active on social media, share your investment along with a few words about what made you want to be a part of Ginjan, tag us @ginjanbros.